Chrichton's World: Review The Viral Factor a.k.a. Jik zin (2012): Effective melodrama but everything else is subpar! 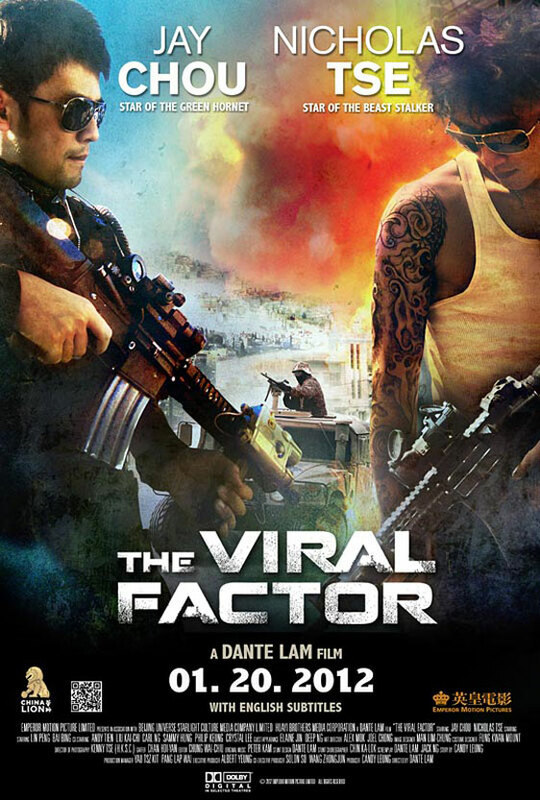 Review The Viral Factor a.k.a. Jik zin (2012): Effective melodrama but everything else is subpar! Deep down The Viral Factor is a simple soap opera where some action and intrigue is put in. And maybe that is enough for some for me it is a downright disappointment. I came across this title in my never ending search for good heroic bloodshed titles or titles that are similar in spirit. The Viral Factor in that regard is not even close. Had Dante Lam used the melodrama in combination with the bloodshed he would have had a powerhouse hit on his hand. Unfortunately Dante Lam demonstrates he doesn't know the classics. Instead he opts for the Michael Bay kind of action without style and incredibly flawed editing. 80 percent of the time you can hardly make out what is happening on the screen. I can't stress this enough. For action to be enjoyed you need to be able to see it. On top of this the action scenes also lacked tension. The official trailer contained more tension than the film itself. It gave the impression that we were in for some apocalyptic events. Sadly the viral element hardly plays a part. It's just a plot device. The focus clearly lies on the soap opera which was effective but lacking juiciness. I mean if you are going this route then why not do your best to exaggerate and make it truly compelling and interesting. For example, if you would have told me that I have a brother whose existence I wasn't aware of I wouldn't automatically be on his side. Unless there was this undeniable connection and chemistry. The mere fact that you are brothers isn't enough. I need more. And why is it that some immediately go criminal whenever things go bad in life? Yes I understand that if you have nothing and are desperate you will do whatever it takes. But that is my point. There are so many other options before you actually have to commit crimes. I also don't understand why Dante Lam didn't even bother to make the villains more interesting. There are billions of low budget Bollywood films with the same ingredients as The Viral Factor which have better villains and soap opera elements. And the majority of them are awful but so much more fun to watch. Point is that films like these need to be fun. Soap operas whether you like them or not are popular for a reason. There are a number of factors why that is. But I guess it's the combination of over the top extravaganza with familiarity. Characters often go through recognizable events. These characters get to act out what real people only fantasize of doing. None of the characters in this film do anything surprising or creative. Every step and action they take is predictable to a tee. So boring! Overall a very disappointing affair even for Dante Lam.